A small group of students recently got to experience a rare, spaceflight thrill: seeing if the tiny satellite, called a CubeSat, they designed and built not only survived a rocket launch to space but also successfully gathered and transmitted data once on orbit. 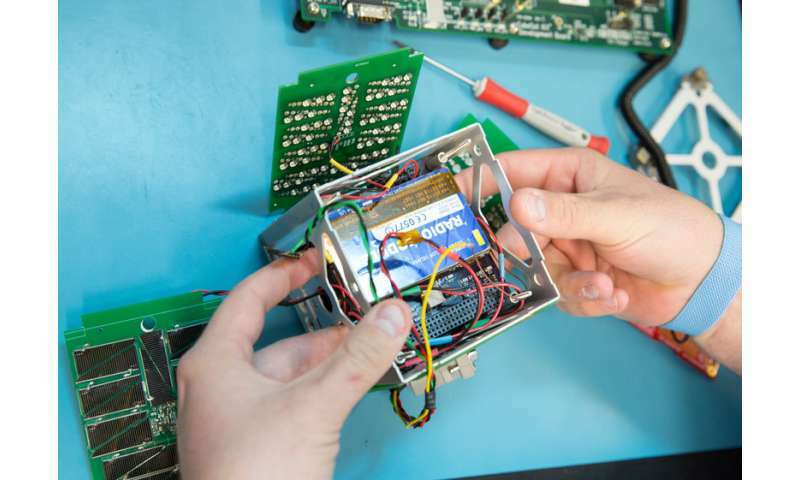 The educational CubeSat missions were selected through the CubeSat Launch Initiative as part of the 14th installment of NASA's Educational Launch of Nanosatellites (ELaNa) missions. The ELaNa XIV mission was an auxiliary payload on the Nov. 18, 2017, launch of the Joint Polar Satellite System-1 satellite (now NOAA-20), a collaborative effort between the National Oceanic and Atmospheric Administration (NOAA) and NASA. 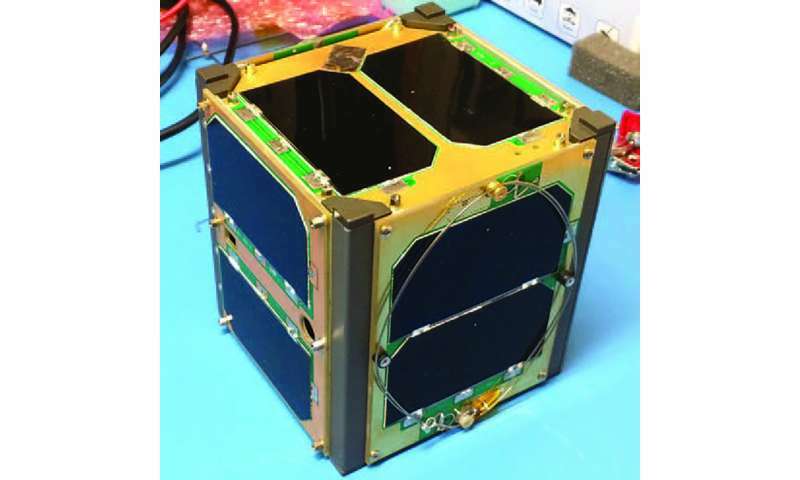 One CubeSat launched from the JPSS-1 rocket, RadFxSat, is a partnership between students at Vanderbilt University, Nashville, Tennessee, and AMSAT, a worldwide group of amateur radio operators. The Vanderbilt team built the science payload while AMSAT did the integration onto their own CubeSat platform. Their experiment is designed to obtain early on-orbit data in support of modeling radiation effects in a commercial memory, currently used for consumer electronics. So far the project is successfully sending back data. "Because we partnered with the company donating the memory, there were engineering challenges to make sure we could communicate with the memory properly. I learned about power allocation and making sure the memories were within their power budget. I didn't realize how important power was for a spacecraft until I had to do it myself," said Rebekah Austin, a graduating Ph.D. student in electrical engineering at Vanderbilt. Austin is also a returning engineering summer intern at NASA's Goddard Space Flight Center in Greenbelt, Maryland. Meanwhile, another CubeSat project, called EagleSat-1, is working through post-launch challenges. "It turns out we are not getting data back. There is still learning occurring, which is our main reason for doing the program. The students are learning the process of failure analysis and understanding the spacecraft a little bit better as a result of trying to figure out what could have gone wrong and try to figure out if there is anything we can do while it is on orbit," said Dr. Gary Yale, associate professor of aerospace engineering and faculty mentor for EagleSat-1, at Embry-Riddle Aeronautical University in Prescott, Arizona. One possibility under consideration by the team of undergraduate researchers is that their antenna did not deploy after launch. The EagleSat-1 team hopes that if that is the problem, eventually the fishing line holding the antenna down will decay due to ultraviolet radiation in the space environment, causing the line to break and deploy the antenna, which was the backup plan for that eventuality. "It is disappointing we haven't gotten data yet, and everyone is trying to make contact with it," said Deborah Jackson, an undergraduate and project manager for EagleSat-1. "We've passed down our lessons learned to our next project, EagleSat-2." EagleSat-1 has two functions, one is to track the satellite orbit as it decays over time and the second is to study the use of super capacitors in space as an alternative to traditional batteries, which rely on chemical reactions. The results from these two NASA ELaNa CubeSat projects illustrates the program's function as an educational platform. "It is a way to pull kids into practical science application. I've seen junior and senior high kids building these things too," said Rex Engelhardt, NASA's ELaNA XIV mission manger and a launch services program mission manager, based at Kennedy Space Center in Florida. The process begins with a proposal that is competitively selected. Each group funds the building of their spacecraft, and NASA provides a ride to space using available capacity on NASA rockets. "For JPSS-1, we had to assure them we were tracking the design, build and testing of these spacecraft and would not negatively impact the JPSS-1 satellite," Engelhardt said. After the primary satellite is released and sent on its way, then the CubeSats are released. Each CubeSat group is responsible for shock and vibration tests to prove their satellite can survive the launch. "The teams were a lot of fun to work with, and they are excited about what they are doing," Engelhardt said. "We have a mission readiness review, where they bring a briefing package which includes all their designs, how they built the spacecraft and met the requirements. We ask hard questions and challenge them in each three- to four-hour presentation. It is fun watching the different teams and personalities. One presenter drove in during his college break and did his presentation while munching an apple. We let him know that's not a good idea." While the ELaNA CubeSat teams work through various stages of science and engineering challenges to get their CubeSats ready for flight, at the end it is about the learning process. "Motivating people to work to a common goal to stay focused on a project and complete it, is a huge educational win," Engelhardt said.